HomeCinemaMasalaAbhishek Bachchan once asked Zeenat Aman – Can I sleep with you? Abhishek Bachchan once asked Zeenat Aman – Can I sleep with you? Before everything is misunderstood here, let’s explain the story behind it. Abhishek Bachchan recently appeared on Riteish Deshmukh and Sajid Khan’s talk show, ‘Yaaron Ki Baarat’. A lot of past was revealed during the conversation where he talked about 70s sensation Zeenat Aman who have often co-starred with his father Amitabh Bachchan. Abhishek Bachchan opened up about his crush on Zeenat Aman when his father Amitabh was shooting with her. He revealed about an incident when he visited the sets of a film in Himachal Pradesh where Zeenat and his father were shooting. He revealed that he used to often spend time playing with her. Abhishek Bachchan appeared on the show with Ajay Devgn and Sanjay Dutt. 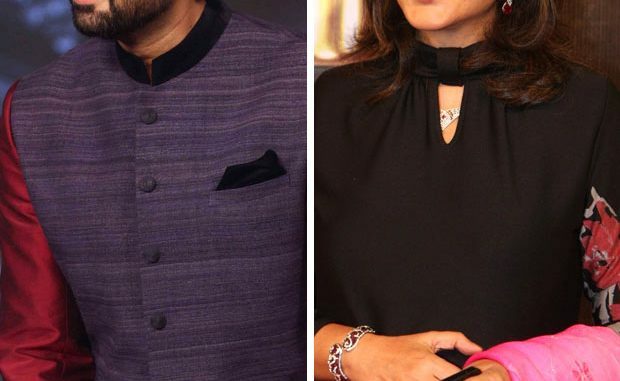 Source: Bollywood News original article at Abhishek Bachchan once asked Zeenat Aman – Can I sleep with you?